Sept.17 (NBD) -- Themed with "Reading, the New Wave", the Chengdu International Bookstore Forum is held at Fang Suo Commune during September 14 to 17, bringing together renowned writers, publishers, and bookstore owners around the world to discuss the future development of the publishing industry. 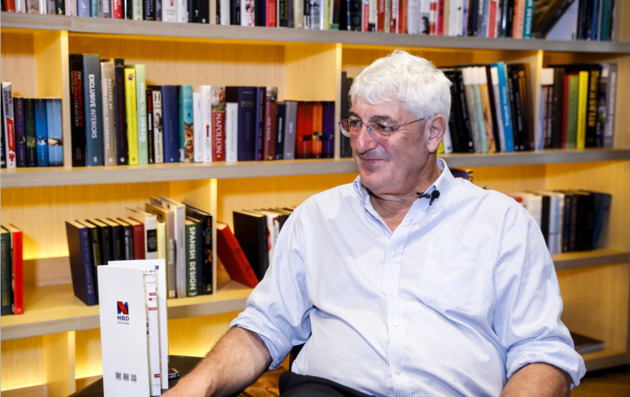 Richard Charkin, former president of the International Publishers Association and president of Bloomsbury China, had an interview with NBD. Bloomsbury Publishing is an all-round publisher, famous for its publication of Harry Potter. NBD: The success of Harry Potter is attributed to JK Rowling's genius and also your publishing company. It's your company instead of others seized the chance. Can you share with us the secret of discovering new authors and readers? Richard Charkin: I will generalize it, not just Harry Potter. A publishing company can only amplify a success, not create one. It needs the genius of writers and then one perhaps can amplify it. It also needs a culture of risk-taking. Publishing is risky, most books don't sell enough even to cover their costs. Publishing is about words, creativity, but is also about business. A famous British publisher called Stanley Unwin once said the first responsibility of a publisher is to remain in business in order to pay loyalties to authors. So a publisher have to balance commerce and creativity. But in order to do that, you have to have a corporate culture which allows people to make mistakes, in fact, arguably, encourages people to make mistakes, providing the mistakes are not so big that will destroy the business. Therefore, one tries to have people who have confidence, who really understand the words, who really understand readers and what they want. And then you back these people that we called editors. As a corporation, one manages risk by balancing portfolio, by ensuring maximize our revenues wherever we can and by being as efficient as possible. NBD: Bloomsbury China was founded February this year with the publication of The Complete Dramatic Works of Tang Xianzu. There are tons of classic Chinese literature, why did your publishing house choose Tang's work? How's the book received by international readers? Are there criteria when selecting books to publish? Richard Charkin: I tend to be perfect honest. There is one criterion. There was a high-quality translation (of 'The Complete Dramatic Works of Tang Xianzu') available and we were able to do it quickly. We wanted it very much to show we were in business. But you're right, there are many others (classic Chinese literature). We're working to analyze them. But I think, in addition to individual classics, to be able to take contemporary scholarship to the rest of the world is in some ways a bigger deal. Because it is of now, not of then. NBD: Is Bloomsbury China currently publishing translated Chinese works? Richard Charkin: At the moment, our first objective is to market English-language books from China to the rest of the world. In the future, I would like to think we will publish in Mandarin. But we haven't. That's the next objective, not the current one. NBD: What's the greatest challenges in the global publishing industry? Richard Charkin: Too many challenges. Firstly and may be the most importantly, while the Internet has brought huge advantages, it also, to some extend, devalued intellectual property in that people expect things to be free. The second challenge is the dominance of distribution channels by a very small number of high tech companies, which almost by definition, reduces choices for the consumers.Thirdly, what I called too much stuff. The explosion of self-publishing, which resulted in a huge number of publications. It makes it harder for readers to identify what is quality and what is not quality. NBD: Will new technologies, such as AI and big data, be used to select books to publish in the future? Richard Charkin: One is yes, and the other is no. Big data can definitely help, particularity in scientific publishing where you can use big data to check what hasn't been published before and whether there is plagiarism. But when it comes to creative writing, I don't think artificial intelligence would have picked Harry Potter necessarily, nor it would have helped our editors pick Harry Potter. I think that requires human ingenuity and will continue to do so. I do think big data can help us reduce number of mistakes we make. There are various ideas that one gets from experience about the sort of books, not the sort of books will sell, but the sort of books won't sell. So I think big data will tell us which one is not to do, that would be great. NBD: As a very experienced publisher, what opportunities you've seen in the Chinese market? 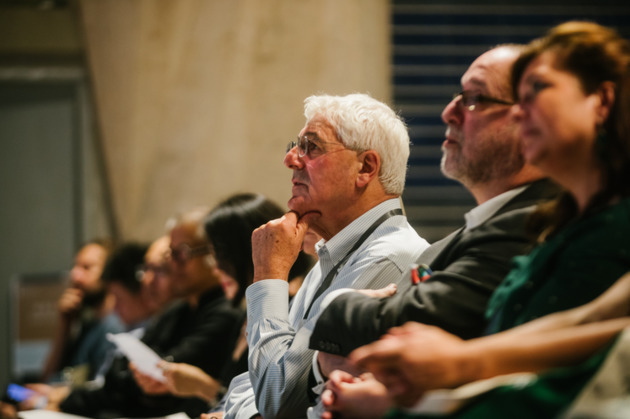 Richard Charkin: When I mentioned earlier about being in London, being in New York, being in New Delhi, being in Sydney, you think about growth and you think about the future. Where would be the next place? It has to be Beijing. That is not a hard question to answer. We really want to be part of the Chinese publishing sea. We definitely want to sell our books here. We are a global publisher now, we are no longer a British publisher anymore. We want to integrate us into the Chinese infrastructure in any and every way possible. What we bring to China is the understanding of the global English language market. What China brings to the rest of the world is thousand years of culture and science. NBD: Chengdu has over 3,000 bookstores, only second to Beijing. Do you have any suggestions to the city to build a more sound reading environment? Richard Charkin: If you get over 3,000 bookstores in Chengdu, which is true, I think that is more than we have in the whole of the United Kingdom. So I think it's wonderful. Can you do more than that? I don't think so. I don't know what the state of public library system in Chengdu. In Britain, anyway, there are three places to encourage reading. One is schools, second is bookshops, and third is libraries. It's the three working together that will make a difference. If you have, I would encourage them to work together.